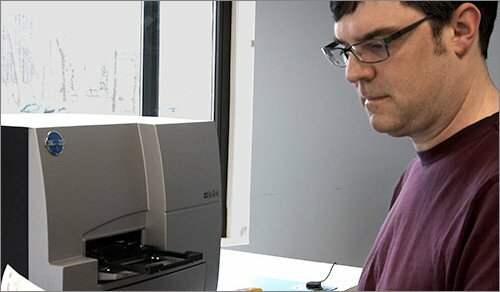 Accurate determination of molecular concentrations is a prerequisite to the use of purified biomolecules for a multitude of downstream applications. 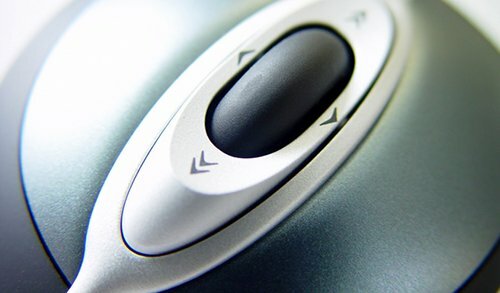 Quantification is routinely accomplished by spectrophotometric analysis. 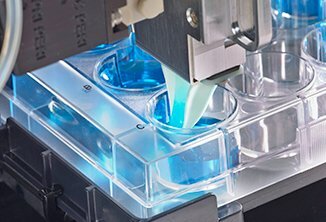 A novel accessory is described here which incorporates the ability to directly measure up to forty-eight micro-volume (2µL) samples for direct quantification and two vertical 1 cm path length cells, in a standard microplate sized format. 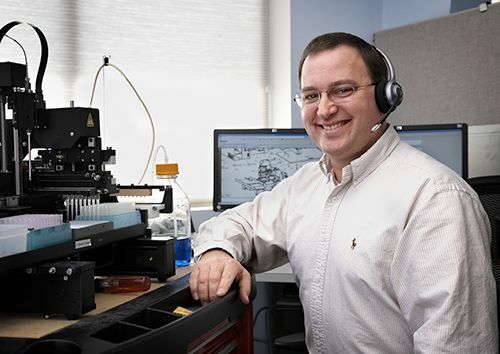 Use of its micro-volume capabilities allows for quantification of samples without dilution; while a standard 1 cm path length format permits more dilute samples to be determined. 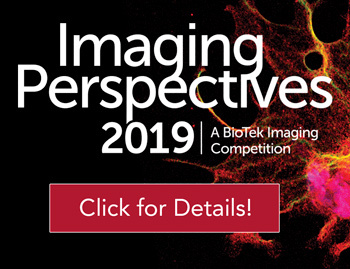 The analytical performance of the accessory will be discussed including limit of detection, dynamic range and accuracy for the quantification of total protein and isolated nucleic acids. Quantification of isolated biomolecules is routinely accomplished by spectrophotometric analysis at 260 nm for nucleic acids and 280 nm for proteins in a UV transparent vessel. Measurements were historically measured with quartz cuvettes that possess a fixed path length of 1 cm and are typically associated with high precision and accuracy of measurement. 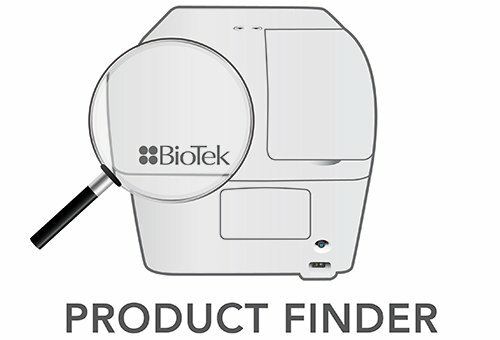 BioTek has recently developed a novel accessory that is capable of accurately measuring up to 48 samples with volumes as low as 2 µL (Figure 1). 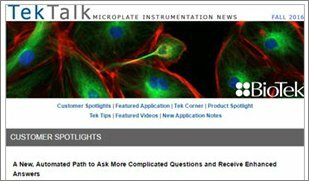 The Take3™ Trio Micro-Volume Plate provides a nominal 0.5 mm fixed path length allowing measurement over a broad range of concentrations. Concentrations can be measured from dilute, low ng/µL samples as well as samples in the 1000’s of ng/µL range. This wide concentration range is typical of the yields from current biomolecular isolation methods. 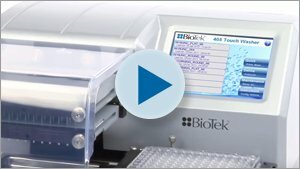 The Take3 Trio plate is also capable of accommodating two BioCells™, extending the range of quantifiable sample concentrations to sub ng/mL due to the BioCell's 1 cm path length. 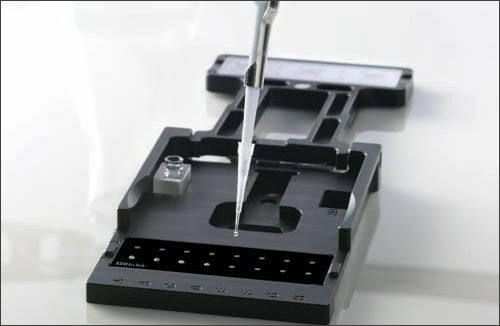 The Take3 Plate and BioCell measurements can be made in a Microplate Spectrophotometer like the Eon™ (Figure 2). 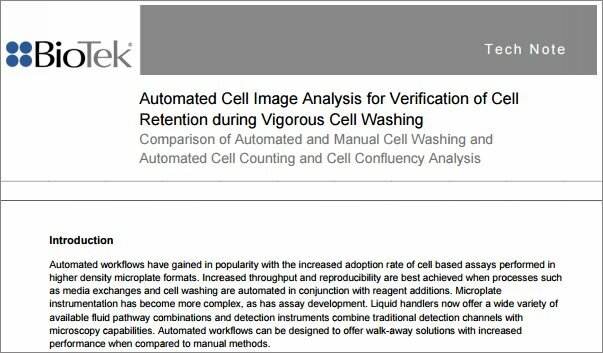 In this work we show the analytical performance of the Take3 Trio for micro-volume analysis including detection limit, linear dynamic range, precision and accuracy for dsDNA, RNA and protein. Figure 1. Take3 Trio Micro-Volume Plate. 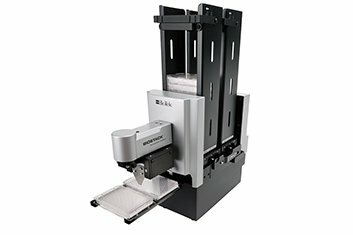 A novel accessory that is capable of accurately measuring up to 48 samples with volumes as low as 2 µL. Figure 2. The Eon Microplate Spectrophotometer allows continuous wavelength selection from 200 - 999 nm, at 1 nm increments. 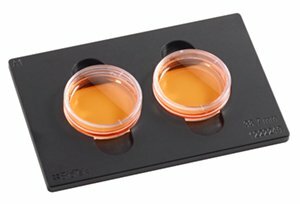 Eon reads 6- to 384-well microplates and is compatible for use with Take3 Trio Micro-Volume plates. Limit of detection is typically defined as the analyte concentration that can provide a signal that is three-fold higher than the noise (standard deviation) of the background signal. The standard deviation in the blank signal for the 48 microspots of the Take3™ Trio plate was determined. As with DNA, RNA and protein measurements made in the Linear Dynamic Range determinations outlined below, 260 nm or 280 nm signals were corrected bichromatically at 320 nm. All double-stranded DNA (dsDNA) and RNA standards were created by serial dilution of a concentrated stock of herring sperm dsDNA or yeast (Saccharomyces cerevisiae) RNA, respectively, in TE buffer (10 mm TRIS, 1 mm EDTA, pH=7.0). 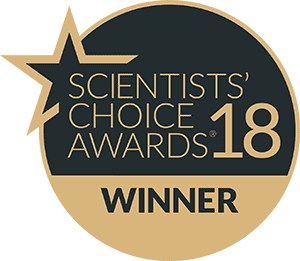 Bovine serum albumin (BSA) protein standards were created by preparing a 1:2 serial dilution of a stock solution in MilliQ water. 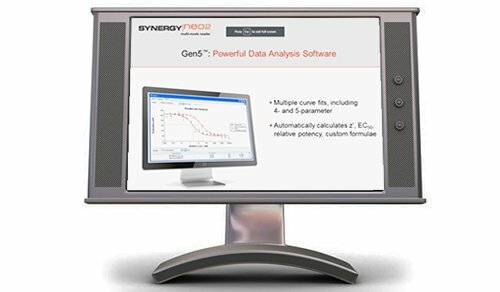 Take3 Trio micro-volume data was obtained with undiluted standard samples on an Eon™ Microplate Reader. Each standard concentration was loaded as 6-replicates on microspot locations across the Take3 Trio plate using an 8-channel manual pipettor and absorbance read at 260, 280 and 320 nm resulting in 48 sample measurements (Figure 3). 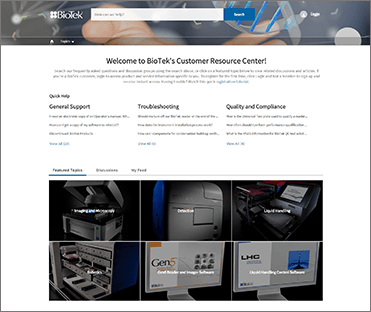 BioCell™ data were acquired using either undiluted or, for higher concentration samples, a 20-fold or 50-fold gravimetric dilution of standard in TE or MilliQ water for either nucleic acids or protein, respectively. 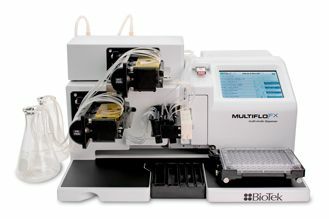 All sample measurements were background corrected using a TE buffer blank or MilliQ water, where appropriate, at either 260 or 280 nm for nucleic acids or protein, respectively. All concentrations depicted are based on a 1 cm path length and 50 ng/mL/ OD for DNA, 40 ng/mL/OD for RNA and 0.667 µg/mL/ OD for BSA. Figure 3. Take3 Trio plate map depicting locations of an 8 point serial dilution series of 6 replicates across each row of the accessory plate of either dsDNA, RNA or protein standards. 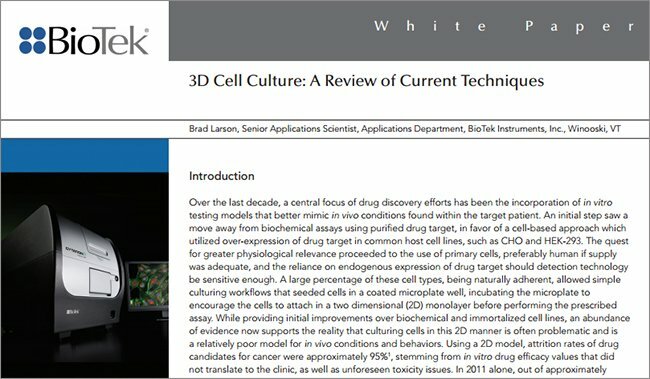 To test the applicability of the Take 3 Trio and Eon Microplate Reader to provide quantitation of a variety of samples types and concentrations, total DNA, RNA, and protein were isolated from HT 1080 cells from culture. 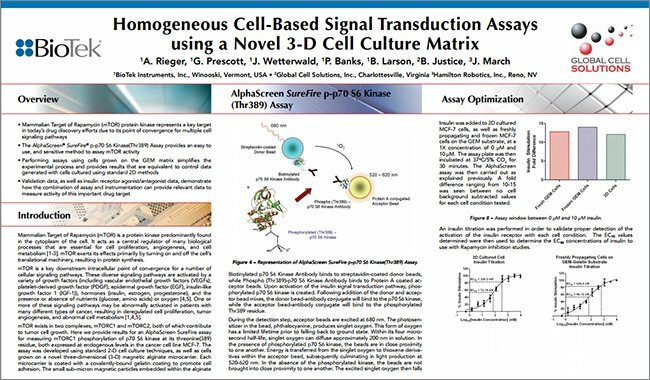 Two aliquots of HT 1080 cells containing either 2 x 106 or 5 x 105 cells were prepared using an AllPrep® DNA/ RNA/Protein Mini Kit (Qiagen, Valencia, CA, US) as per the manufacturers protocol. 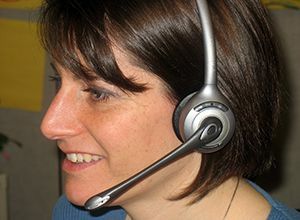 Samples were added in duplicate onto the Take 3 Trio. 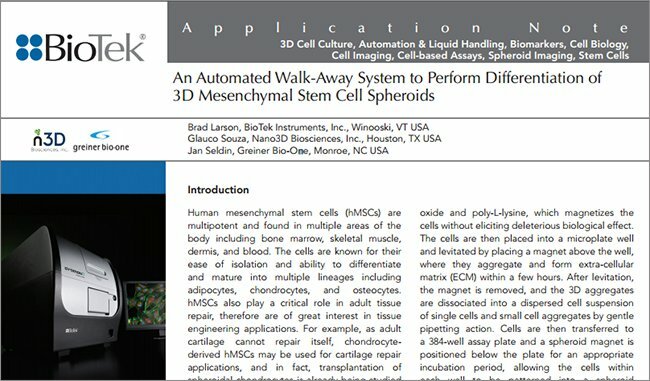 Sample measurements were then performed on an Eon Microplate Reader controlled by Gen5 2.0 Data Analysis Software (BioTek Instruments, Inc., Winooski, VT, USA). 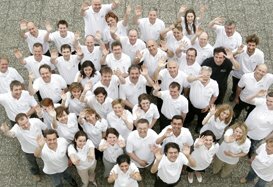 Data analysis was performed using Microsoft® Excel® (Redmond, CA, USA). The limit of detection can be determined as previously described. Briefly, the magnitude of the standard deviation for all 48 microspots on the Take 3 Trio plate multiplied by a factor of three provides the absorbance signal equivalent to the detection limit of the Eon and Take3 Trio plate. The average background corrected absorbance of 6 microspots was determined to be 6 mOD and 4 mOD for dsDNA and RNA, respectively, thus the detection limit determined here for this Take3 Trio plate and Eon Spectrophotometer combination for sdDNA is 2 ng/µL and RNA is 3.2 ng/µL. When determining the limit of detection for BSA the average background corrected absorbance signal of 6 microspots was determined to be 51 mOD therefore the limit of detection for BSA is 70 µg/mL. 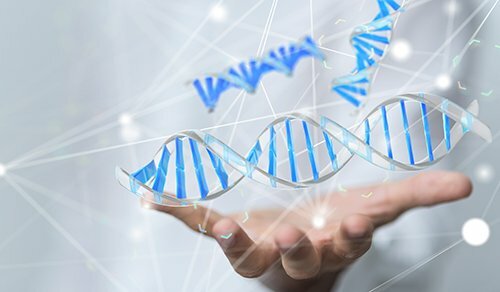 Herring sperm dsDNA standards were prepared as an 8 point 1:2 serial dilution series resulting in concentrations ranging from ~ 4.5 to 3,250 ng/µL for testing. 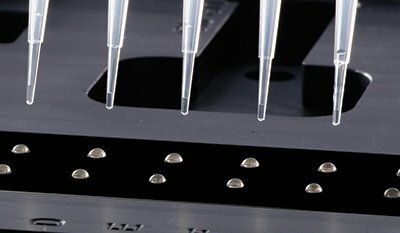 Microvolume measurements were compared to those taken using the BioCell placed in the Take3 Trio Micro- Volume Plate, as well as standard cuvette, and read on the Eon microplate reader. Linear regression analysis was performed, as depicted in figure 4 and tabulated in table 1, showing excellent correlation, M ≈ 0.993 and R-squared > 0.999, between measurements when compared to BioCell. The analysis depicted in figure 4 shows excellent linearity across three orders of magnitude, sufficient for quantification of most DNA isolation kits (Table 2). Figure 4. dsDNA standard curve using dilutions of a purified herring sperm sample. 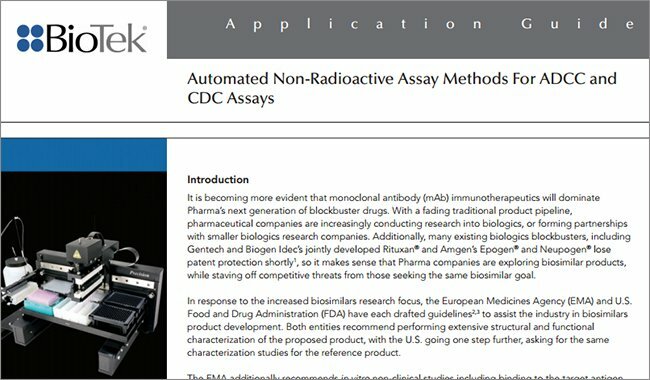 Abscissa data is considered actual [dsDNA] as measurements were conducted with 1 cm path length using the BioCell™. Ordinate data is micro-volume determinations using the micro-volume plate or cuvette determinations. The straight line is through the origin and has a slope of 0.993, which is shows excellent equivalence between micro-volume and vertical cell data. Inset is an exploded view of low dsDNA concentrations. Table 1. 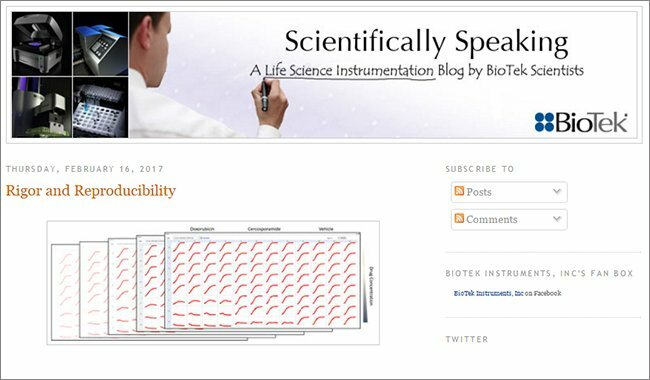 Straight line analysis slope and R-squared values as a result of comparing DNA, RNA and protein concentration values generated using Take3™ Trio and BioCell. Table 2. Expected [DNA] in isolate from some commonly used commercially available DNA isolation kits. Yields are provided as expected results from supplier product literature. Yeast RNA standards were prepared as an 8 point 1:2 serial dilution series resulting in concentrations ranging from ~ 3.3 to 2,400 ng/µL for testing. Micro-volume measurements taken as described above were compared by linear regression to those taken using the BioCell placed in the Take3 Micro-Volume Plate on the Eon™ Reader. Again, a strong correlation, M ≈ 0.994 and R-squared =1 (Figure 5 and Table 1), was seen between measurements when compared to BioCell across three orders of magnitude. The analysis depicted in figure 5 shows excellent linearity across three orders of magnitude, sufficient for quantification of most RNA isolation kits (Table 3). Figure 5. Linear regression analysis of serial dilution series of micro-volume [RNA] measurements in comparison to “gold standard” measurements taken in BioCell on Eon Microplate Reader using Take3 Trio Micro-Volume Plate. Table 3. Expected [RNA] in isolate from some commonly used commercially available DNA isolation kits. 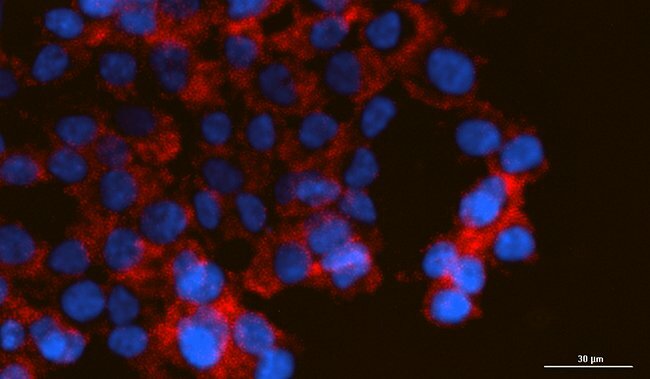 RNA yields from tissue samples start with ~ 25 mg of material; 106 HeLa cells were used to generate 20 µg of RNA. Yields are provided as expected results from supplier product literature. Lastly, BSA protein standards were prepared as an 8 point 1:2 serial dilution series resulting in concentrations ranging from ~ 0.9 µg/µL to 60 µg/µL for testing. 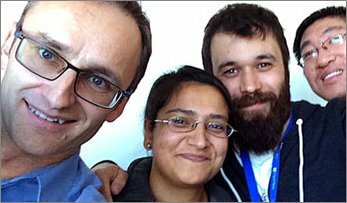 Micro-volume measurements were compared as above and linear regression analysis performed. Again, excellent agreement was seen, M ≈ .997 and R2 ≈ 1 (Figure 6 and Table 1), when compared to BioCell. The analysis depicted in Figure 6 shows excellent linearity across three orders of magnitude, sufficient for quantification of total protein precipitated from many cell types (Table 4). Figure 6. Protein standard curve using dilutions of bovine serum albumin measured at 280 nm. Abscissa data is considered actual [protein] as measurements were performed with 1 cm pathlength in a vertical cell. Ordinate data is micro-volume determinations using Take3 Trio Plate. Inset is exploded view of low protein concentration. In both graphs, the line fit represents a slope of 1.003 indicating average percent difference of < 1% relative to 1 cm pathlength determinations. Table 4. Expected protein in isolate when total protein is precipitated using the Qiagen AllPrep kit. The ability to perform measurements of up to 48 samples provides the ability to rapidly quantify purified biomolecules as when screening preparations of DNA plasmid or affinity tagged recombinant protein. 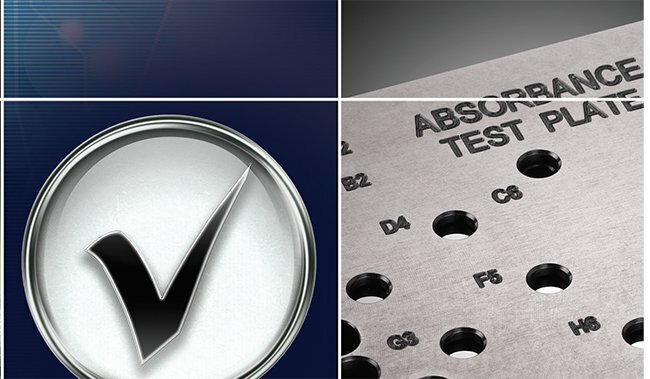 The concentration of the sample type can vary over a wide range depending on the sample type and protocol used. Figure 7 demonstrates the precision of replicate measurements of dsDNA, RNA and protein samples across the range of concentrations depicted in figures 3-5. Figure 7. Precision measurements expressed as a % CV from 6 replicate measurements of each concentration at 6 independent microspot locations as compared to BioCell™ determinations for a) dsDNA, b) RNA and c) protein. It is obvious from figure 7 that quantification is excellent for nucleic acids down to low ng/µL concentrations. Observed precision, expressed as %CV, is < 2.3% for [dsDNA] ranging to ~13.4 ng/µL and < 1% for [RNA] ranging to 9.9 ng/µL. 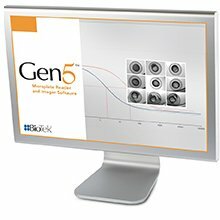 Measurement data from protein analysis showed %CV < 1.5% for [BSA] ranging to ~0.9 mg/mL indicating excellent quantification of protein samples down to µg/mL concentrations. Yields of various purified biomolecules from the HT1080 cell dilution series were read by native absorbance on the Take3™ Trio. The measurements were quantified and tabulated (Table 5). Values depicted in table 5 correlate well with typical yields as indicated in tables 1-3. Table 5. Calculated yields from native absorbance measurements of purified genomic DNA, total RNA and total protein from the indicated number of HT1080 cells. 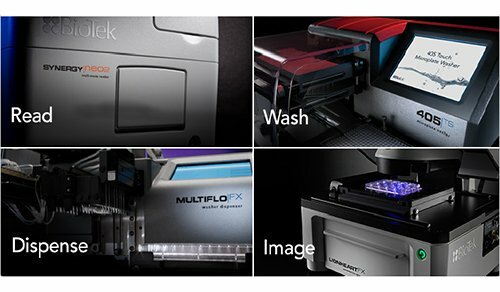 When using native UV absorbance, the Take3 Trio Micro- Volume Plate, in conjunction with a standard microplate reader, can provide accurate biomolecular analysis across a broad range of concentrations spanning three orders of magnitude. 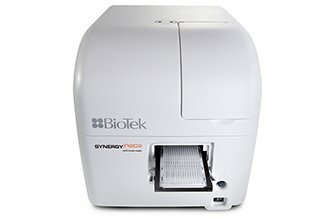 The analytical performance of the Take3 Trio Plate in conjunction with the Eon microplate reader is characterized by a detection limit of 2 - 3 ng/µL for nucleic acids at 260 nm and 70 µg/mL when observing purified protein in MilliQ water at 280 nm. Precision was typically below 1% CV, but no more than 2.5% CV at low nucleic acid concentration and < 2% for protein ranging from high BSA concentrations to about 0.9 mg/mL. 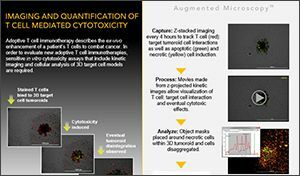 The 48 microspots of the Take3 Trio provides a convenient device for higher throughput biomolecule quantification. 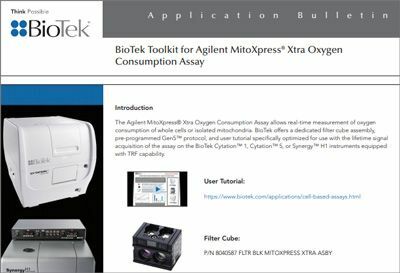 Brescia, P. and Peter Banks, Analytical Performance of Epoch™ Multi-Volume Spectrophotometer System for Protein Quantification, Winooski (VT), BioTek Instruments, Inc. Jan. 2010, Application Note.